On February 28, the goodlift.info server will be stopped for technical maintenance work to update the hardware and software parts. Estimated stop time 11:00 a.m. Estimated start time is March 1, 12:00 a.m. The report "Nomination of Teams" was added to page "Nominations". Championships 2013 (04 – 08 Nov 2013). Attention! From 4 to 8 November the competitions will be streaming at the same time for the different virtual rooms. On the «Results» page has been updated data of the competitions at 2013. The data of Nordic Juniors & Sub-Juniors Men's Championships was added Men's and Women's. The Information about records was added to personal profiles of each lifters. Before the New Year goodlift.info presents to you the new YouTube video-channel - GoodliftTV. Now the channel provides the video from the 2011 IPF World Sub-Juniors & Juniors Championships, Moose Jaw, Canada (video-files will be updated permanently). The new page «Live!» has been added on the goodlift.info site. The Results for Danube Cup have been added. The Site of GOODLIFT was started. 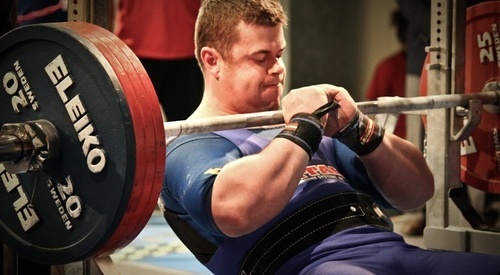 Find the powerlifting videos on PowerliftingTV & GoodliftTV.